So apart from the Lumia 610 and Nokia Asha announcements, the biggest shock at the Nokia presentation at Mobile World Congress was the 41 megapixels Nokia 808 with PureView imaging technology. When Stephen Elop first announced it we were all like WHAT???????????! 41 MEGAPIXELS? Yes.. our eyes and ears did not deceive us. It was real. 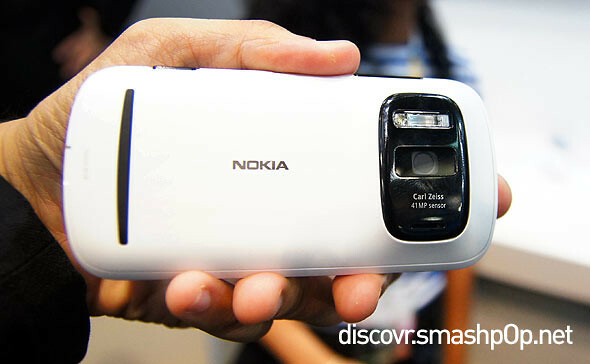 The PureView technology is the brainchild of Nokia and Carl Zeiss which they have worked on for the last 4 years. Can you imagine that they actually started working on this since 2008? The technology means that taking typically sized shots (say, 5 megapixels) the camera can use oversampling to combine up to seven pixels into one “pure” pixel, eliminating the visual noise found on other mobile phone cameras. On top of that, you can zoom in up to 3X without losing any of the details in your shot – and there’s no artificially created pixels in your picture, either. 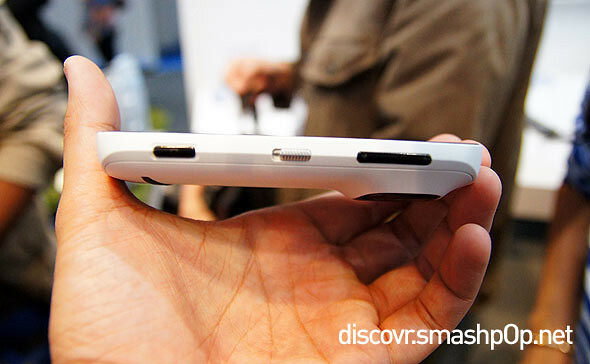 The device looks thick but it actually feels very comfortable in the hand. It has a 4″ ClearBlack AMOLED display underneath the Gorilla Glass with 1.3GHz processor inside. The 808 has 16GB of internal user memory, with support for MicroSD cards up to 32GB. Let’s talk about the camera again. In the settings, you can use ‘Creative Shooting Mode’ to capture images at high resolution, which is 38 megapixels. The 808 PureView is believed to be able to capture 5x more light than normal cameras allowing it to capture low light photos efficiently. During the demo, I was curious (though already known) and asked if it records 1080p videos. Yes it does. It records at 30fps with 4X optical zoom. Yes, Nokia has totally eliminated the sucky digital zoom which is currently used in all camera phones and replaced it with real optical zoom like on digital cameras. Oh it also has a Xenon flash for photos and LED light for video recording. Amazing? There’s more! 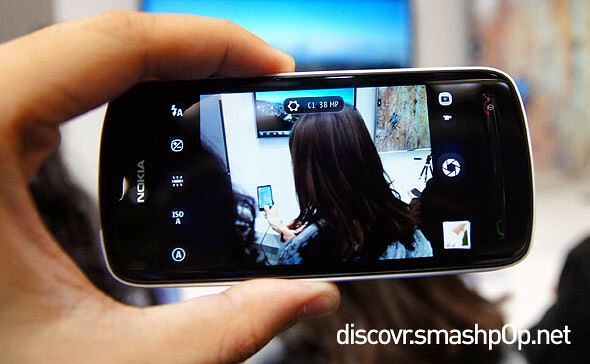 The Nokia 808 PureView is the world’s first video recording device to allow recording without distortion at audio levels beyond the capability of human hearing. This allows you to even in the harshest of environment capture stereo CD-like audio quality. I love the build quality. Very very solid. Though the camera sensor area is quite builky, the weird is very proportional thoughout the phone. Screen is very vibrant and sharp. Symbian Belle runs really smoothly on it without any hiccups or lags. I will be posting a detailed review post + sample photos on the Nokia 808 Pureview soon but for now, watch the hands-on preview video I recorded in Barcelona. 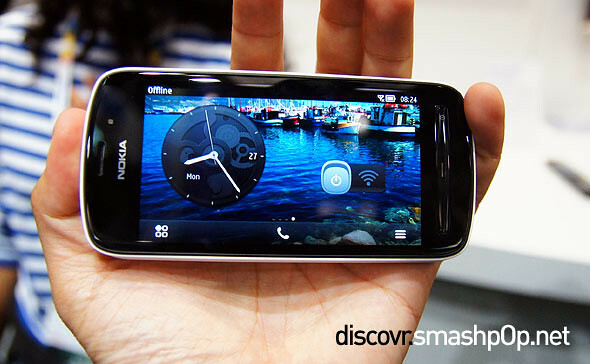 3 Responses to "Nokia 808 PureView 41 Megapixels Hands-On Preview [Video]"